May is coming, and with it the Memorial Day Holiday. For some this marks the unofficial beginning of summer and ushers in a time for picnics, family reunions, and blockbuster films. But the holiday was originally known as Decoration Day and originated shortly after the American Civil War as a time to honor the war's casualties and decorate their graves. By proclamation of General John Logan of the Grand Army of the Republic, “the 30th of May, 1868, is designated for the purpose of strewing with flowers, or otherwise decorating the graves of comrades who died in defense of their country . . .” This first celebration of Decoration Day was marked by a speech from President Garfield and the decoration of graves in Arlington National Cemetery. Many towns took up the practice and after World War I it became a day to honor all of America’s war dead. 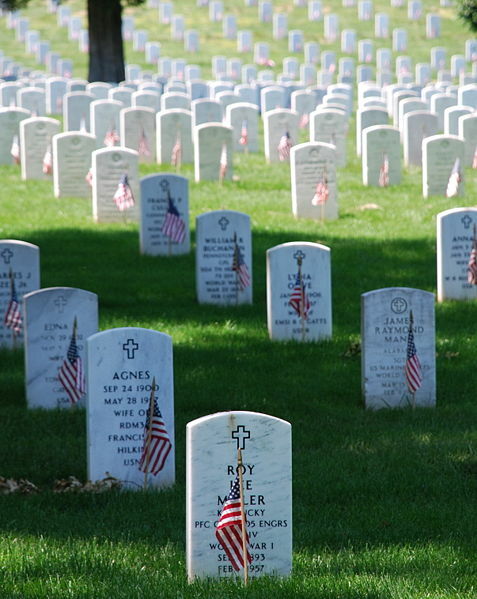 Congress declared Memorial Day a national holiday in 1971 and fixed the date for its observance as the last Monday in May.